Announcement We are on Easter sales. Everything 15% OFF now! Enjoy! We are on Easter sales. Everything 15% OFF now! Enjoy! Selena and her team are awesome! Was nervous how this was going to turn out at first but they got all my measurements right! I’m so happy I found them on here. I’m so excited for my big day. Thank you so much for everything and for always responding fast to my messages. Really beautiful junior bridesmaid dress! Thank you! Owning two branded studios in California Bay area and Washington D.C. area, Selena Huan Bridal has dressed up more than 200 brides and recieved 5-star ratings on Weddingwire, the Knots and Yelp. 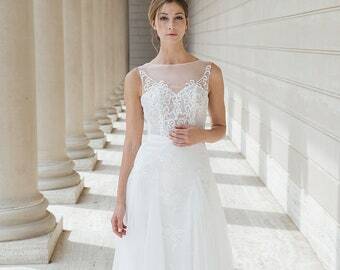 Our gowns are featured with special ideas and unique pattern designs using laces and different beading combinations. Our dresses were very popular because of great quality and exquisite combinations of crystals, pearl and French/Spanish laces. A lot of brides commented that our dresses turned out to be even better than some well-known branded ones. Thus, we considered it worthwhile to start another extensive platform - meet and listen to ideas from more brides online. The latest Selena Huan Collection focuses on flattering your natural curves with streamlined silhouettes and beguiling illusions. The enchanting mermaid dresses utilize rich but light fabrics and elegantly beaded French lace and sequins combination together with dramatic backs, to highlight the soft curves and flirtatious temptation of each lovely bride. The luxurious ball gowns blend the essence of classic baroque architectural art into the design and cut. 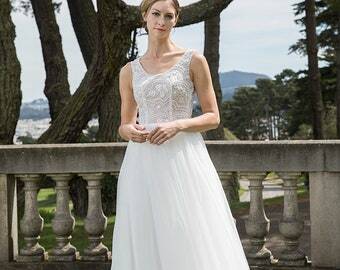 Voluminous skirts with layers of tulle and lace embrace equal parts romantic and chic. Neat and meticulous soluble laces simulate superb cameos, while Austrian imported gemstones and pearls embellishment accentuate the breathtaking beauty of a woman in love. As a designer with more than 7 years experiences, Selena always adhere to use of the most exquisite materials and craftsmanship, combined with inspiration from the ‘20s and ‘50s fashion, to create timelessly classic fashion artwork. Judy has more than six years of experience in high-fashion branding and marketing. Working as a stylist before, Judy has a great taste and acute sensation of the leading bridal fashions. Maggie has an MBA degree and has great experiences and reputation in dealing with customers' requests, solving customization issues and supply chain optimization. Works on sewing equipment, is responsible for the smooth lines and high-quality processing throughout the dress and for the observance of technology of tailoring. Selena Huan Bridal directly own this factory as the major shareholder. Selena Huan Bridal helps the factory to imports/purchase the most popular fabrics among top-tier couture brands. Our factory will produce each dress 100% the same as the sample dress made by our designer, Selena Huan. 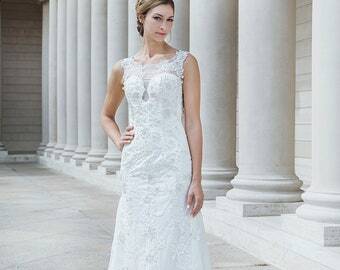 Every Selena Huan Bridal dresses can be tailor-made. The price will be a little higher than standardized orders. Brides who want you dress be tailor-made can communicate with our customer service to discuss your requirement and production cycle. You also need to send all your measurement data according to our tailor-made measurement chart, and then we will make it a written agreement for you to sign. 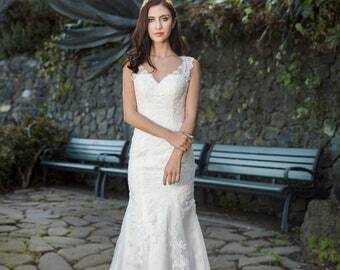 Once you confirm the order, it will be the responsibility for Selena Huan Bridal to dedicate every resource to make you a perfect handmade wedding dress or prom dress. to make your dress fit perfectly to your body. We won't charge extra fees on any made-to-measure orders. We offer different wholesale prices for wholesalers who want to be as our retail partners. Please contact our store owner to get the detail quote for our wedding dresses, bridesmaid dresses, flower girls dress and accessories. Any freshly unpacked dress inevitably has wrinkles. Please hang our dresses for 3-4 days, and normally the wrinkle will disappear. If you use handled steamer to iron the dress, especially those with heavily folded or sculptured skirts, you will get very desirable result. 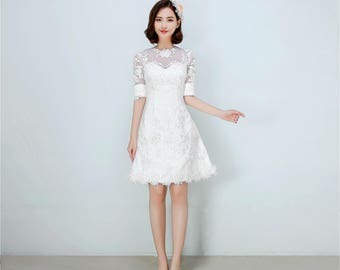 What to do if I receive a dress that does not fit? Customers who choose the corset back style basically do not need to worry, because corset style allows you to adjust the size very conveniently. Also, all designs of Selena Huan Bridal were painstakingly crafted to fit and flare female body curves. The probability of unfit is very low. Moreover, almost all the dresses were seamed with extra fabrics on the side to make it easier for local tailors to resize and change. How long will I receive a reply after I leave a message to the customer services? First, all the staff of Selena Huan Bridal customer service are our own employees rather than outsourcing 3rd party. Therefore, every customer service staff has a deep understanding on each wedding dress and rich experience on helping every bride to choose their dream dress. 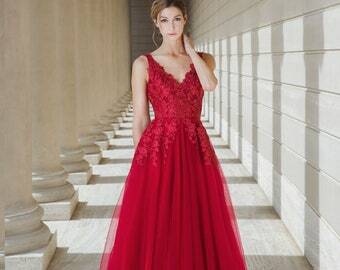 Are the dresses I will receive exactly the same as the pictures shown on Selena Huan Bridal’s website? Selena Huan Bridal swears that all product images on our website are shooting with 100% real product from our own factory. You can be assured for each of your purchase. All the dresses of Selena Huan Bridal were painstakingly made by our exclusive craftsmanship. Each dress was carefully folded, embroidered, and beaded. So the detail of every dress will be slightly different, but each piece is absolutely exquisite and beautiful.